Ricoh Theta with 4K video and 4K live streaming to be showcased at NAB Show 2017! Ricoh just announced that it will be showcasing a prototype of its Ricoh Theta with 4K video (at 30fps) and 4K live streaming at NAB Show 2017! The new Theta will also have 4-channel surround sound audio and is expected to be released later this year. The Ricoh Theta is still the most popular 360 camera, not only because it was the first 360 camera but also because of its best-in-class stitching. But its video resolution of 1920 x 960 has lagged behind its competitors, and Theta fans have been yearning for a 4K version Theta. Now it’s finally here! 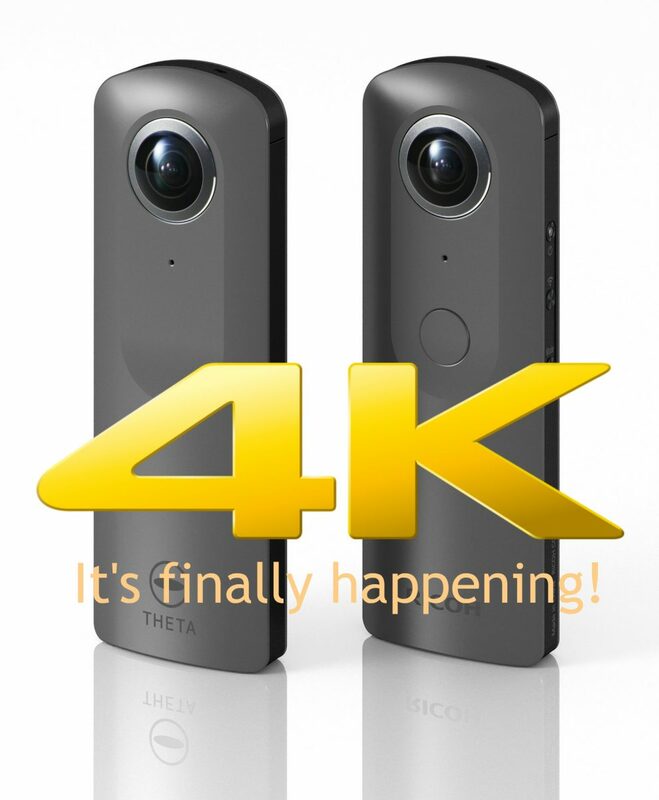 I will be going to NAB and will be posting more info about the 4K Theta. I will be looking for your post as soon as you see and learn about the new 4K Theta! Can’t wait to hear about it. Wish I was at NAB!